On 16th February 2016 I e-mailed my MP Tom Pursglove, the Conservative member for Corby and East Northamptonshire. He subsequently advised me that he was “widely known for (his) Eurosceptic credentials”. Well, there’s a bit of the Brexiteer braggadocio for a start. I have yet to come upon anybody outside the constituency to have heard of him. 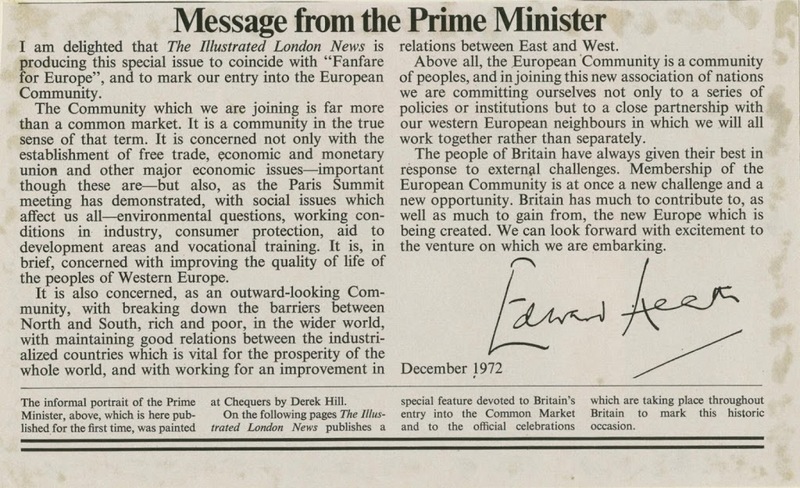 I didn’t expect to turn his mind on the issue of the EU referendum but looking back at his response presents an opportunity to cast a judgment with a measure of hindsight. It also permits a chronology to be created. In the next 24 hours we should know whether the Prime Minister has succeeded in his aim of getting ‘a new deal for Britain’ that will form the basis for voters to decide whether or not they want the country to stay in the European Union. The talks were due to carry on into Friday, 19th February. The Register suggests two separate companies at play here, Grassroots Out Limited (Company Registration number 09917939) and GO Movement Limited (09999930). It is reasonable to therefore assume that the “GO” in “GO Movement Limited” probably stands for “Grassroots Out”. More than two months before writing to me my MP had set up a company which had the very objective of campaigning to get the United Kingdom out of the European Union. The fellow collaborator in this project was a certain Peter Bone, MP. On 29th January 2016 three further directorship appointments were made by Grassroots Out Limited. On 11th February 2016 GO Movement Limited was incorporated with Messrs Pursglove and Bone as directors. Returning now to the roots of the grass, on 14th March 2016 Richard Tice (the subsequent co-founder of Leave.EU with Arron Banks) was appointed a director of GO Movement Limited and on the very same day a directorship held by Tice of Grassroots Out Limited was terminated. There is no Notice of Appointment of Richard Tice within the Companies House available records relating to Grassroots Out Limited at the time of writing. On 22nd March 2016 four directors were appointed to the board of GO Movement Limited, including Mr Nigel Paul Farage and Lord David Stevens. These directorships were terminated on 15th July 2016, together with that of the said Richard Tice. Stevens was a former Conservative peer who defected to UKIP. 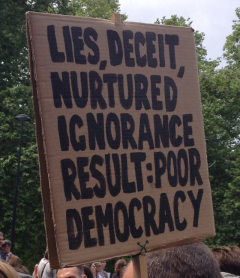 Farage, of course, needs no further introduction. 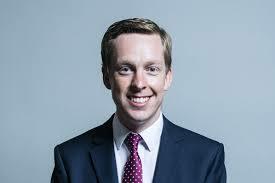 His constituents’ memories may not be as reliable as he thought but rely on them he had to because he was not born until 1988. “…in recent weeks and months, it has become increasingly clear that none of this will be achieved through the renegotiation…”. Oh dear. Is that the “sovereignty” that the white paper following the referendum confirmed had never been lost (although it may have felt like it had)? Well, it fooled Mr Pursglove then, along with the others. 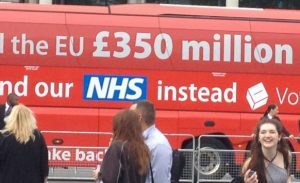 “…and stop sending £350 million a week to Brussels – money which we could instead invest in our public services…”. Even his former fellow director Farage disassociated himself with this claim on the morning after the referendum. No mention of the rebate, then? What sort of “chance” did my MP give to the renegotiation? 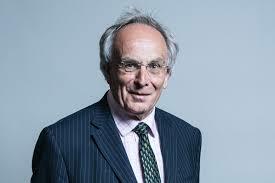 He and Peter Bone had formed a limited company more than two months before the renegotiation process was due to conclude, the stated aim of which would have been inevitably to defeat that process, given its constitutional objectives. When he said “in recent weeks and months” was this not a conscious look back at the chronology from his perspective, protecting him retrospectively from being judged as having “jumped the gun” in the rush to condemn Cameron’s renegotiation as a failure? Knowing that he had embarked upon an enterprise entirely at odds with the position of his party leader. Undermining his party leader. When pro-Europeans complain of a far-right coup then observe the chronology and interplay between two Conservative acting Members of Parliament and other influences outside the Conservative Party. A process whereby the interests of UKIP totally overrode the objective that the leader of their own Conservative Party was setting out to achieve. Far-right coup? 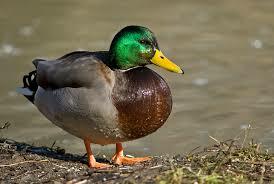 As they say, if it looks like a duck, swims like a duck, and quacks like a duck, then it probably is a duck.